Lauren is the question master this week in our “Coast to Coast” series. Looks like I have some questions to answer. L: What’s your best advice for developing a good habit? F: Hmm. Well, I guess I would steal the advice I heard here from Charles Duhigg on Fresh Air. He studied habits and found that it takes 30 days to make them. I almost think it can be quicker than that. If you start doing something every day and your body likes it, it will ask you for it again. The key is to listen to it. Usually, it takes me a month to form a sold healthy habit. L. If you could pick anywhere to go on a trip next week, where would you go? F: Ha! That is a funny question because Mom is coming and we were talking about going on a day trip somewhere. 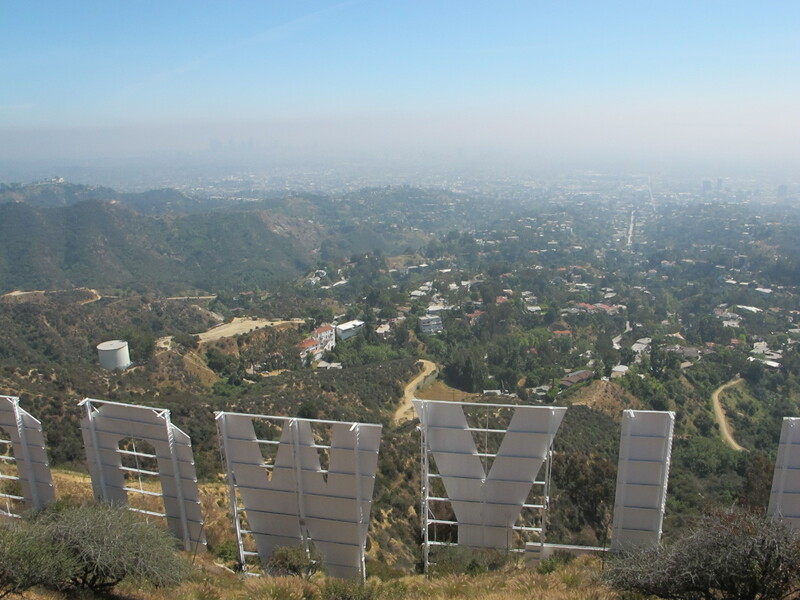 Los Angeles is awesome because you are surrounded by really cool places. I think I will take her to Salvation Mountain. I have been wanting to go and she seems like the best campanion for that trip. L. What make-up application tip/trick do you want to share with me? F: Girlfriend, I have been curling my eyelashes every morning and I will tell you, it makes a difference! Even if I don’t apply mascara, the curling raises the bar: next thing you know, you have a doe-eyed awake look. Also, less is more. L: What is something you read recently that you found interesting? F: As you know, I am double detoxing. Day 14! I came across a chapter in Revive and it is called, “Don’t Should Yourself.” This is kind of an inside, family joke, but our brother is strongly against saying the word should. It was interesting to read a doctor’s perspective on the negative energy behind using the term should. L: What’s your favorite app? F: Obviously, Instagram is like crack. I have always and will always love pictures. I find it fascinating how people portray themselves in a personal and artistic way on Instagram. I know it’s becoming a cheesy social network, but I love it. Google Maps is pretty much my most used app since driving is a madhouse in LA.